I was worried that I wouldn’t find a bike box to pack my bike in. 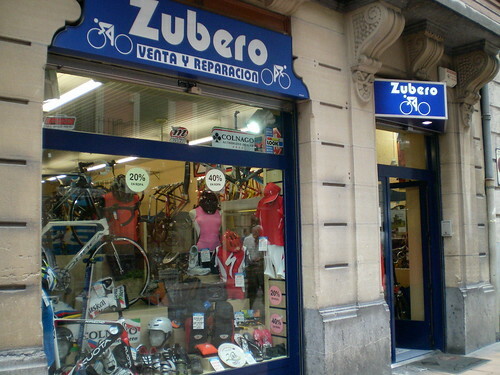 There were only 2 bike shops in Bilbao, and they were closed on Friday for Aste Nagusia, the Festival. The first one I checked out on Monday morning said to come back in the afternoon and they might have one then. 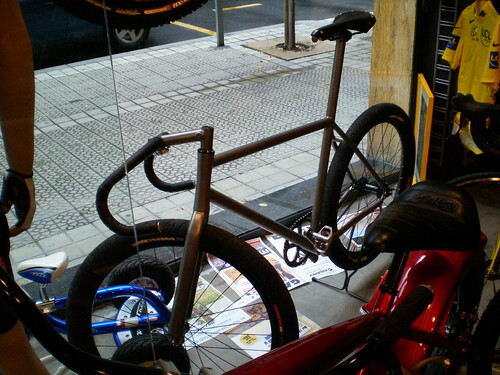 Check out these fat tires on this fixed gear! Well, luckily the second bike shop I went to had one right away, so I took that and went back to the hostel to pack it up. I decided not to un-coupler my bike because it wouldn’t make a difference in the size of the box when I was done packing it. I was lucky to have found a box that was the exact size of the wheels before I left for Europe, but coming home, I decided to just put it in a regular bike box and risk getting charged at the airport. I went to a hardware store to get bubble wrap, but that is definitely a Spanish word I didn’t know. I tried to mime it by going ‘pop pop pop’ in the air, but they thought I wanted a staple gun or tape dispenser. Finally I drew a picture and they knew what I was talking about. I am glad I kept my extra zip ties because there is no way I could have mimed that. 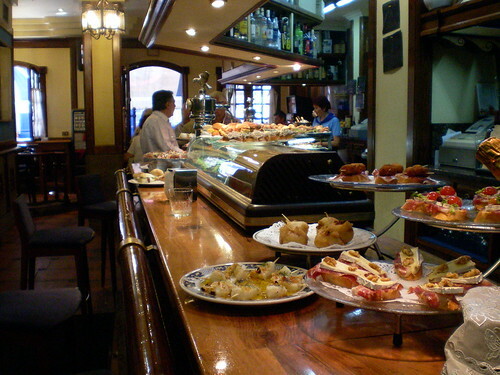 I went to a bar to get my last round of pintxos, the Basque version of tapas. They are really good, some with fresh seafood, and they’re little so you can try a lot of different ones. I’ve been to that bike shop!